Precirack Instrument cases are specially designed as ideal and economical solutions for table top equipments. These cases are supplied in height ranges from 2U to 6U and they help electronic engineers to suitably house instruments and equipments with ease. These cases are manufactured with 3 special aluminum extrusions with aluminum or steel covers. 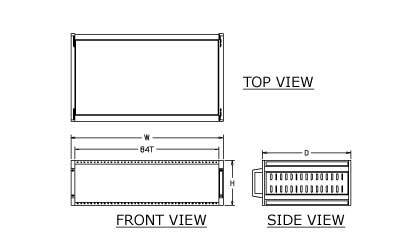 These cases are also supplied with 19" racks mountable features.